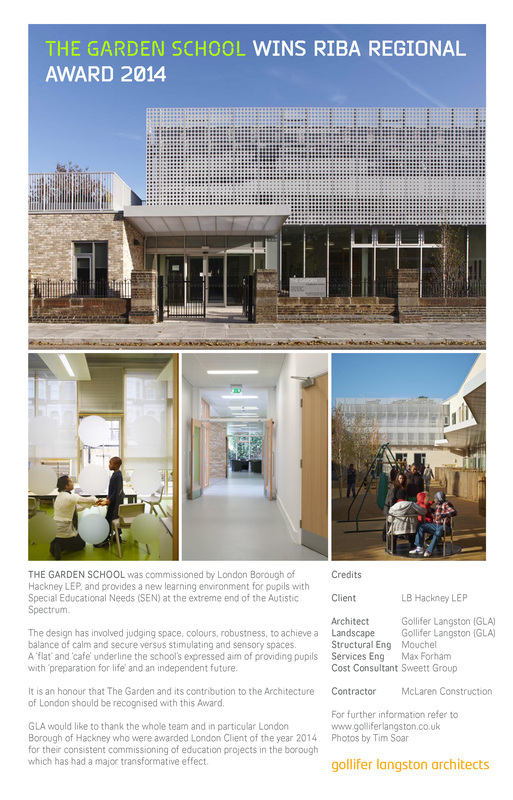 We were delighted to learn that our clients Gollifer Langston Architects recently won a RIBA London Region Award 2014 for The Garden School, Hackney. We had produced a 3D Flythrough for the project back in 2012 and it can be viewed here. The school is a £13m new building. It occupies a restricted urban site in Hackney. It was built in two phases by McLaren Construction. The project began in 2010, phase 1 completed in 2012 and the school opened in 2013.